I'm unwrapping a deformed cube, so I've set all edges to be seams. When I unwrap, I get 6 polygons as expected, but I'd like there to be a gap between them on the UV map. Currently, they are all touching each other. The blender manual mentions a margin setting, but I cannot for the life of me find it, even after googling it, and the manual glossed over it. Not the answer you're looking for? Browse other questions tagged uv documentation or ask your own question. Unwrapping angular mesh gives some islands distortions, why? 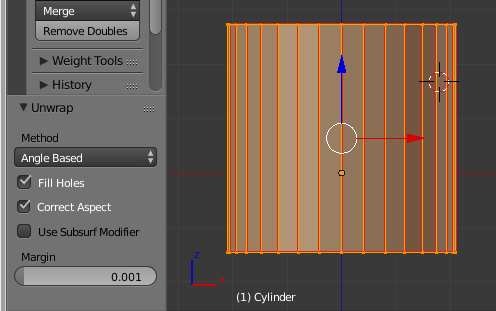 How to unwrap multiple planes and have them exactly overlap? UV pixel bleed from pixel snap in Viewport.